Battery has Automotive Style Terminals. Battery ship from various warehouses and usually deliver within 5 to 7 business days. 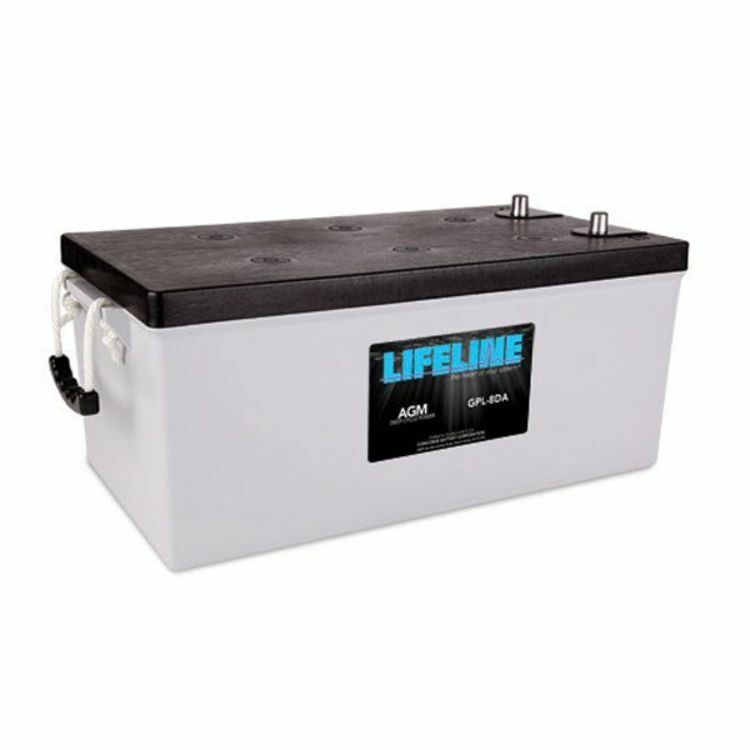 The Lifeline GPL-8DA is a high performance, Mil-Spec, AGM battery, produced in the United States. Due to the Lifeline Battery's quality construction, it has an industry leading 2% per month self discharge rate at 77°F (25°C). These batteries off gas only 2% by volume under normal operating conditions, again, industry leading. No sulfuric acid leaks, no acid clean up, and more power in the same space when compared to conventional batteries. Do you own the GPL-8DA? Please, tell us what you think about it. It helps us provide you with better products. Please note that it may take up to 72 hours for your review to appear. Pros: Have two 8Ds in RV since 2001 and 2005. That makes em 14 and 10 yrs in use. Two solar panels keep em charged and also use a 2000w inverter. Cons: With kind of use for that length of time, no cons. Will replace em with same.... when they go.